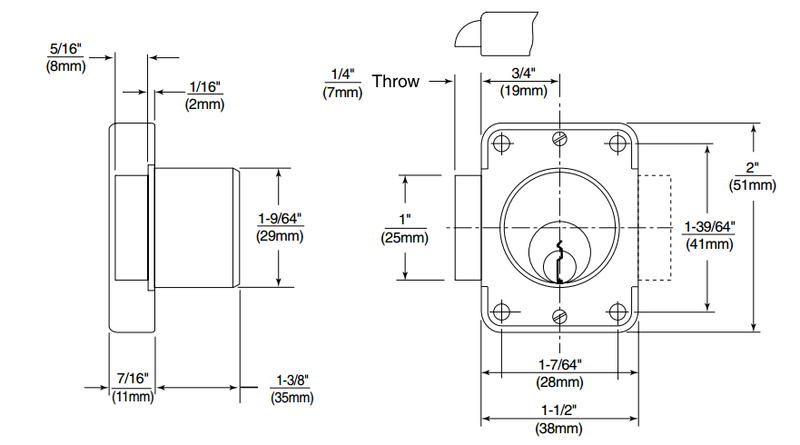 Application: Pin tumbler lock for 1-3/8" (35mm) wood or metal wardrobe doors. Operation: Key retracts latchbolt. 45° counter-clockwise key-turn. 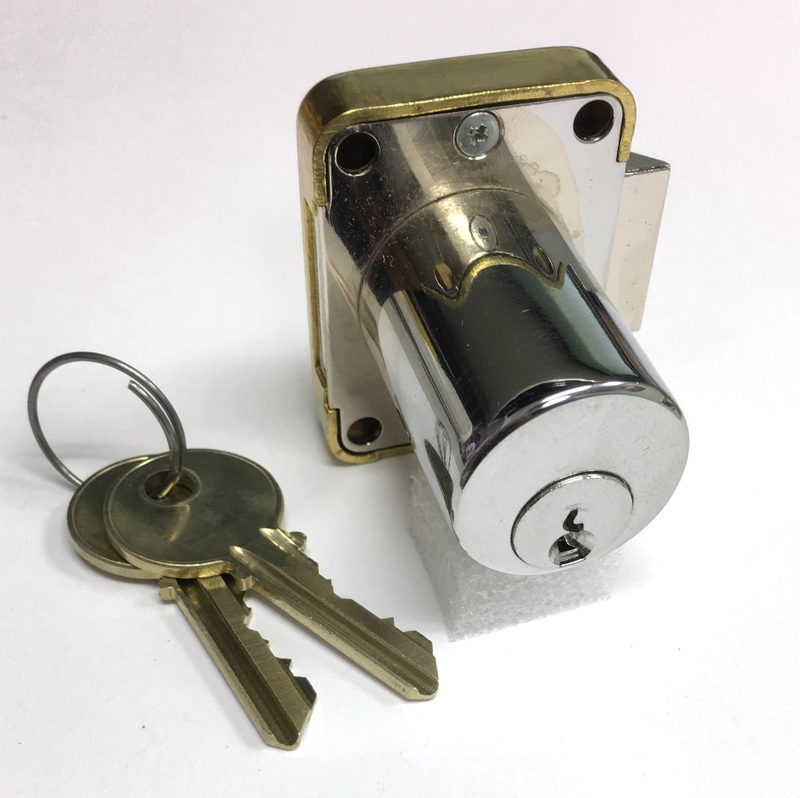 Yale 511S self locking spring bolt LH cabinet lock for 1-3/8" door thickness come with two keys and hardware. All bolts are die cast. Rotate 45 degree clockwise. See dimension at specification tab. (print show RH lock). Key code is 3502.